PEEL and finely chop the onion. REMOVE the outer leaves of the leek and rinse it well. CHOP the leek into fine half rings. 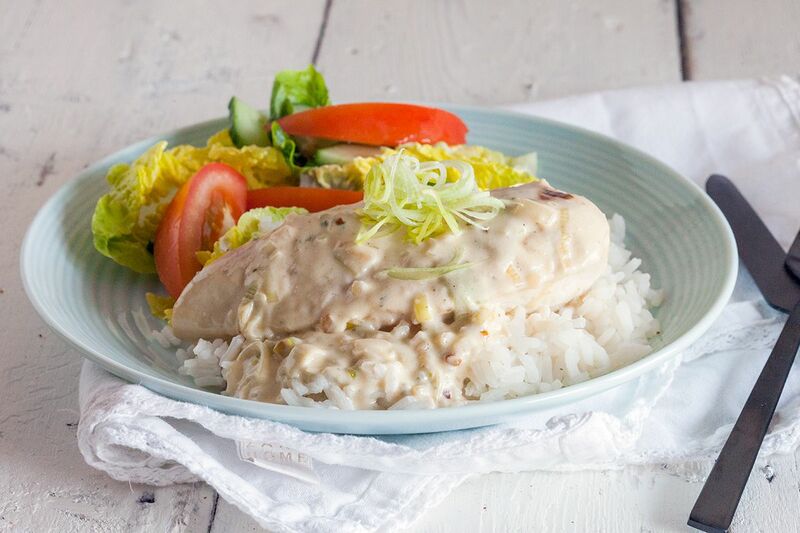 REMOVE any excess fat or muscles from the chicken fillets. HEAT olive oil in a large skillet and ADD the chicken fillets. COOK them for a few minutes on each side until they are beautiful golden brown. ADD the chopped onion and leek and saute until softened a bit. POUR in the cream and let it cook for a few minutes. ADD the Boursin cheese and cook some more until you’ve reached the desired thickness and the chicken is cooked enough in the sauce. SEASON with pepper and salt. 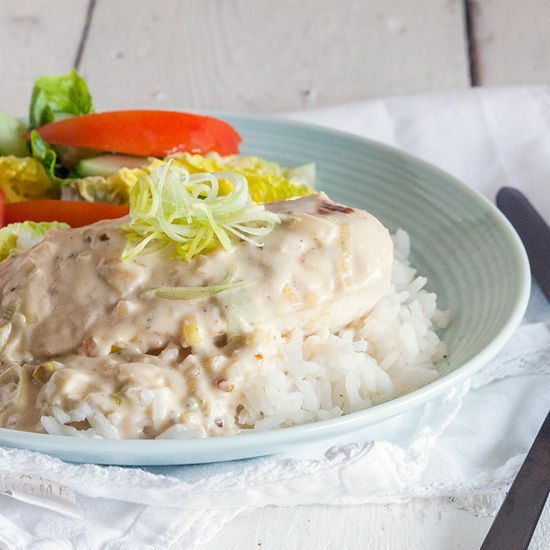 Enjoy this lovely Boursin sauce with plain rice and a green salad!